Featuring Laser Cut High Strength Steel body with extra large teeth. More than twice the amount of carbide per tooth over most competitors. 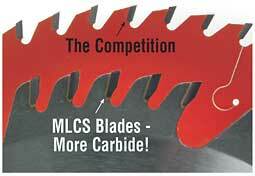 Quality MLCS blades can be re-sharpened many times. Made with Silver-Copper-Silver tri-metal brazing. 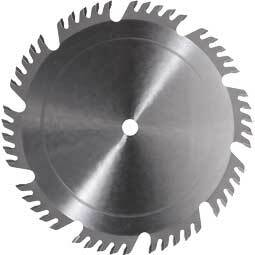 Great for Ripping and Cross-cutting all woods. The teeth consist of 4 ATB and 1 flat raker. Large gullets allow for more aggressive cuts and greater chip ejection. I have been using this combination blade non stop for a couple of weeks now, the finish is really quite good 4* Vs my dedicated glueline rip blades and 4* Vs cross cutting, but at this price it has to get 5* - well worth the money and cheaper than sharpening my other blades.